Beaver Steel Services offers a wide variety of HVAC products. When it comes to our business, we offer our customers a powerful resource and a recipe for success. 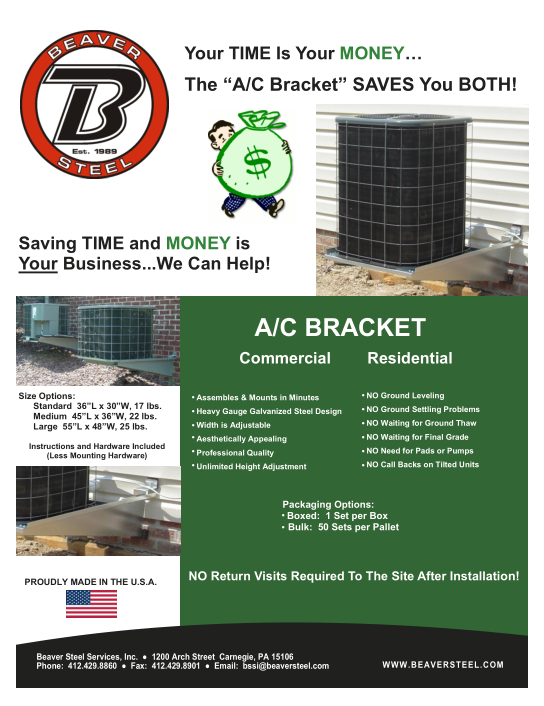 Now offering commerical and residential A/C brackets. No return visits required to the site after installation. Proudly made in the USA!